a-hole with a blog. : Manaverage. When people ask me how tall I am, I usually say 5'10". That's great and all, but it's not true. I'm actually 7 feet tall. I just hide it well. Nah, that's not true at all. I'm actually a man. No, that's not true at all either. I'm actually a horse. Okay, you got me. I'm not a horse. I'm a mop. Do you see that? I'm 5'8.5"--maybe 5'8.75", given the angle of the scribble. 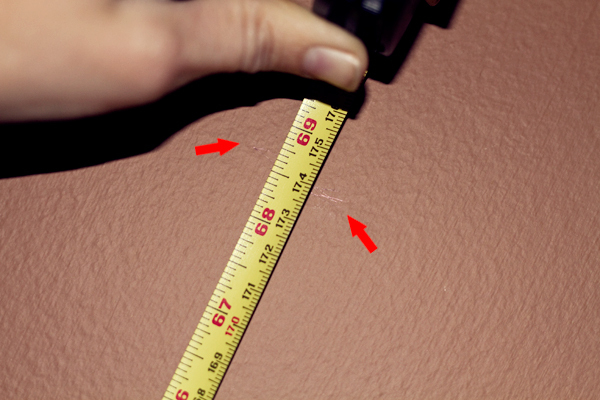 Also, I was holding the tape measure to the wall and trying to take a picture at the same time, which proved difficult. Also, why can't cameras have the button thingy on the left-hand side? Jeez. Anyway, when I was measuring myself constantly, back in the day, I got to "five-eight-and-three-quarters" and stopped. But I said 'five-nine' when people asked, because, well, that's easier to say. And then people started prefacing their height questions with statements like, "GOLLY, ARE YOU EVER TALL! 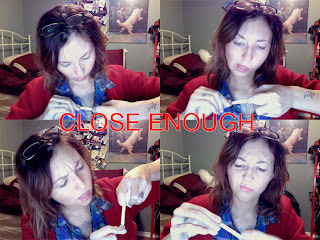 ", so I felt the need to tack on an extra inch. Turns out I am abnormally tall for a Canadian female between the ages of 25 and 44. 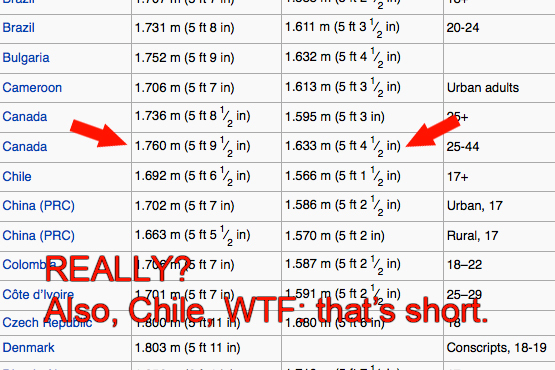 It also turns out that Chile is producing near-midget women. I also feel the need to point out that I used a nice colon in my red font caption, but it's hard to see. Moving on! Then I thought, wait--I was born in the UK and I grew up in the United States. THAT'S where all the tall girls are. Canada is just full of teeny-tiny ladies. Ain't no thang. Andddddd, no. 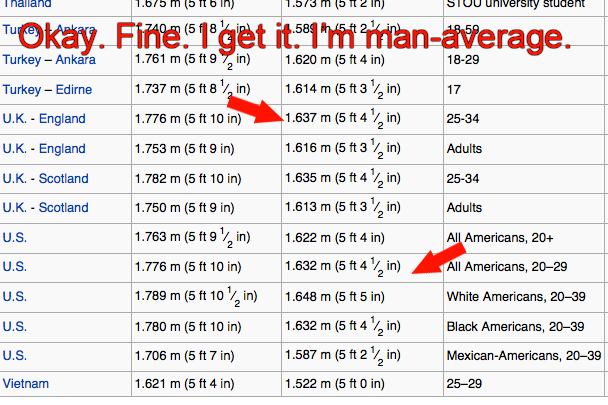 It just turns out I'm really the average height of a Canadian/British/American male. Go me. I'm man average. Manaverage. BAM. My word. I called it. So, I've decided--guys, you need to get taller. 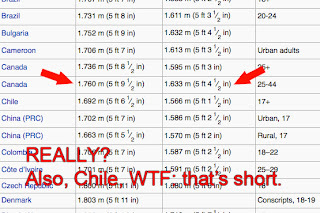 Because, let's be real here: 5'9" is not that tall. 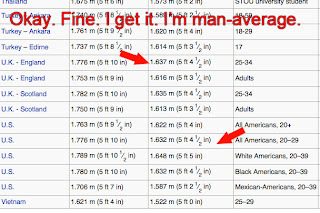 Don't listen to all those "average height ladies" out there, also known as AHLs. They will try to make you think that you are nice and tall. WRONG! They are wrong. Just stand next to me when I'm wearing my monster 6 inch heels so I can fill you with feelings of inadequacy and fear. In conclusion, I might as well be 5'10". 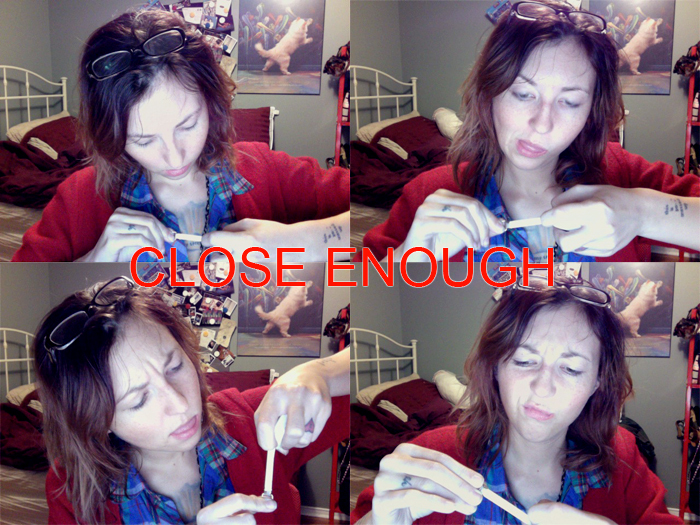 Ignore my retarded facial expressions as I try to master the fine art of holding a tape measure and look at that minuscule amount of white tape. That is the difference between my real height and the height I tell people I am. Say what? That's nothing: my favourite boots easily have that much of a heel. So there. I win. At everything. But mostly being Manaverage height. *I just thought I should point out that I have no issues with short guys--I mean, guys that are awesome and Manaverage like myself. They are just as manly and rad as the above-Manaveragers. For yrs whenever I would tell ppl my height they would comment that I'm short I would say I'm average...I knew I was average...you just had to ask me and I would have told you exactly what the average height for a woman in Canada was lol. I used to always wear flats, and then I was all, EFF YOU MANAVERAGE HEIGHT MEN, and started wearing monster heels.